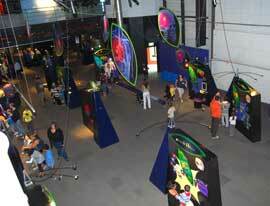 Scienceworks is another place that you can spend some serious time with your kids. Downstairs you'll find things about food, the human body, household appliances, pets and other household creatures which maybe you'd actually prefer not to know about! 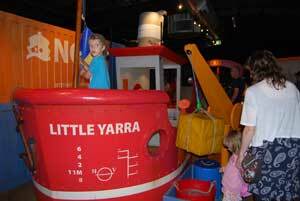 ........the Pumping Station was part of Melbourne's first sewer system. You'll also see vehicles like steamrollers being driven around. Then there's all the temporary exhibitions to see! .... and the outside playgrounds!! Luckily, with a concession card you'll be able to come back again and again! There are other sections you can go to like The Planetarium and The Lightning Room but you have to pay for these. .........Try and come along during the week if possible. 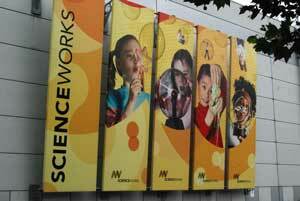 Scienceworks is located in Spotswood (near Williamstown) about 5 kilometres west of Melbourne CBD. 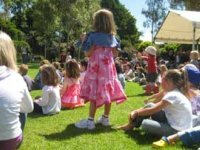 Address is 2 Booker Street, Spotswood. There are signs all the way once you get off the West Gate Freeway (M1) so it's easy to find. It's open from 10am-4.30pm daily except Good Friday and Christmas Day.